Flavio Briatore net worth and salary: Flavio Briatore is an Italian businessman who has a net worth of $400 million. Flavio Briatore earned his net worth as the former manager of two Formula One racing teams. The most recent team was Renault F1. Flavio Briatore was also part-owner and chairman of London's Queens Park Rangers F.C. from 2007 to 2010. After Briatore was accused of race fixing at the 2008 Singapore Grand Prix, he was forced to resign from the ING Renault F1 team. 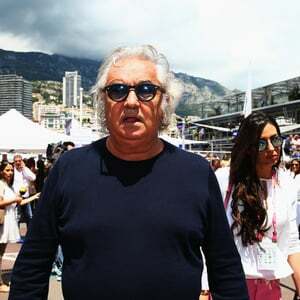 Briatore was banned from any events sanctioned by the FIA after they completed their own investigation of the allegations. This decision was eventually overturned by the French Tribunal de Grande Instance. Briatore was born in Verzuolo near Cuneo, Italy, in the Maritime Alps, and even though his parents were elementary teachers, he flunked out of several public schools and had to switch to a private school (independent school) to get his diploma. Some of his first jobs included a ski instructor and restaurant manager. Later he opened his own restaurant called Tribüla, after his nickname. But the place was unsuccessful and went bankrupt. Some of his other careers included a door-to-door assurance policies salesman, business assistant to Attilio Dutto, owner of the Paramatti Vernici paint company and he once worked in the Italian stock exchange. Briatore was involved in the bankruptcy of Paramatti for which he was convicted on various counts of fraud in Bergamo and Milan and sentenced to 4 years and 6 months in prison. These charges also included gambling-motivated fraud, cheating and swindle by fake playing cards. In 1988 he attended his first Formula One race the Australian Grand Prix. He would soon become the managing director of the Formula One team, Benetton Formula Ltd. (formerly Toleman). Briatore is married to 'Wonderbra' model and Italian TV personality Elisabetta Gregoraci, the couple has one child. Flavio is also a big fan of the Italian football club Juventus F.C.